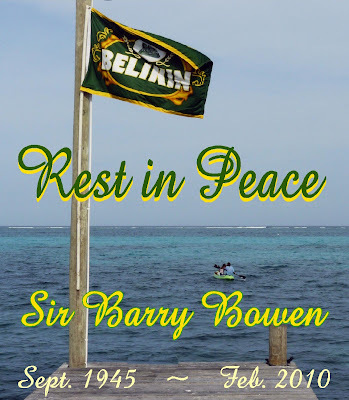 Village View Post: SIR BARRY MANFIELD BOWEN- R.I.P. A plane crash on Friday, February 26th, 2010 on the Island of Ambergris Caye, Belize claimed the life of businessman and former Belizean Senator, Sir Barry Bowen. Mr. Bowen, an experienced pilot, has been flying for over 40 years. The plane was a Cessna 272, had mechanical problems and went down just south of the Municipal airstrip of San Pedro Town. Sir Barry Bowen piloted his plane daily from Belize City to San Pedro where he lived. 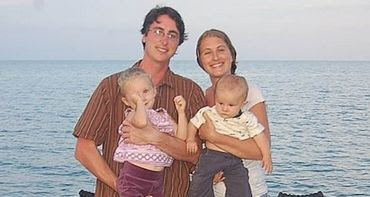 On board the flight were four other victims, two adults and two children. Sir Barry Bowen was a prominent businessman, developer, bottling magnate and one of Belize’s wealthiest men. He was knighted by Queen Elizabeth in 2008. His company, Bowen and Bowen Bottling Works owns Belikin Beer, Guinness Stout, Coca Cola, Fanta Sprite, Crystal Water, Belize Estate & Produce Co, and Belize Aquaculture Ltd (Belize Shrimp). Bowen and Bowen company was started by his father in the 1930’s. Sir Barry Manfield Bowen, 64, is survived by six children; four sons, two daughters, his wife Dixie and ten grand-children. A state funeral will be held on Tuesday, March 2, 2010 at St. John’s Cathedral in Belize City at 10:00 a.m. followed by internment in San Ignacio, Belize. A confirmed report by San Pedro Police Sgt. Leslie Logan says the other victims on the plane, Michael and Jill Casey and their two young children, have been identified as a family from Albany, New York and employees of Mr. Bowen. Local media in San Pedro reported that the Casey’s taught at the Gallon Jug Community School owned by Mr. Bowen in Northwestern Belize. The group was headed to San Pedro Town for a fundraising event Mr. Bowen was hosting. For nine years, the Casey’s ran the Gallon Jug Community School, a 75-student school for kindergarten through 8 grades in the Village of Gallon Jug. The school was founded in 1989 by Mr. Bowen and is located on a 130,000-acre private nature preserve in the rainforest of Gallon Jug that is also owned by Mr. Bowen. The couple was planning to return to New York at the end of this school year to be closer to their children’s grand-parents. It is a sad day for the people of Belize to lose such an important business man. I didn't realize that he had so many business going on in the country of Belize. Very good information. Thanks for sharing Linda. Doing a great job! This is a sad day for the family of the deceased and the people of Belize. Mr Bowen, even though most of us didn't know him personally was a household name in Belize and will be missed. I hope that his good work continues for the people of Gallon Jug. May his soul rest in peace. This is so sad... I hope the Bowen family and the Casey family will make it through this terrible accident.